Gmail has 900 million active users. Nine-Hundred-million… that’s a hell of a lot of users. 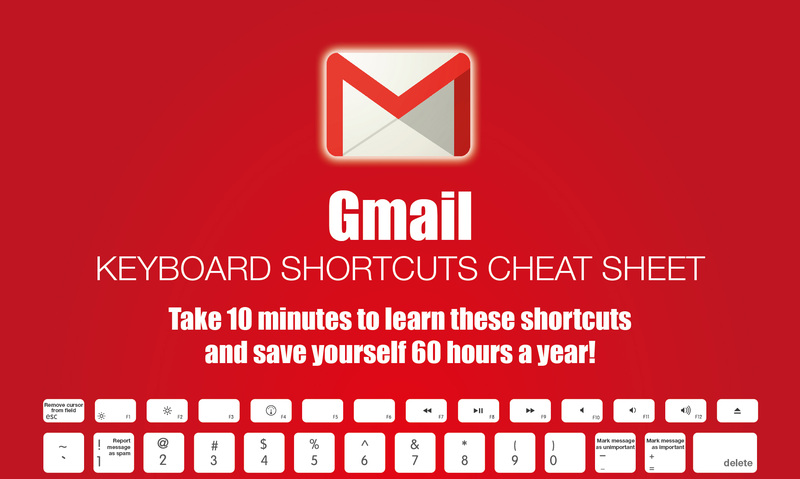 Well thankfully there are a bunch of handy Gmail shortcuts out there which save me a few hours every month when I manage my inbox. I have compiled them all in to a handy cheat sheet and you can also grab the PDF here too. One thing to make a note of, though, is that many of these shortcuts will have to be turned on in your Settings > Keyboard shortcuts menu. If you enjoyed this infographic be sure to check out our popular guides on how to start a blog, the best WordPress Hosting and the top email marketing software. Hi. Great cheat sheets, thank you! Just noticed that the link above is broken for the Mac Gmail cheat sheet. It reads makeawebsithub, missing the e.
I just want to know how to set up a business email.